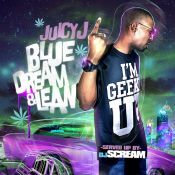 Early incarnations of ratchet trap tapes done right by DJ Scream and Juicy J. While many tracks feature throwaway hooks and verses (albeit Juicy J still flows effortlessly through bars), it also features many classic party / club tracks that saw huge success. Notable great tracks: Stoner's Night pt. 2, Zip and a Double Cup and live show mainstays Get Higher, Juicy J Can't, and She Dancin.